Born into the physical world a mere fetus, made complete with the metaphysical presence of a soul and a spirit that has endless possibilities. A blank canvas, educationally raised in the Catholic teachings of Christianity, raised with a positive reinforcement by family to be a good “boy” within the home as well as following the rules of the outside world. 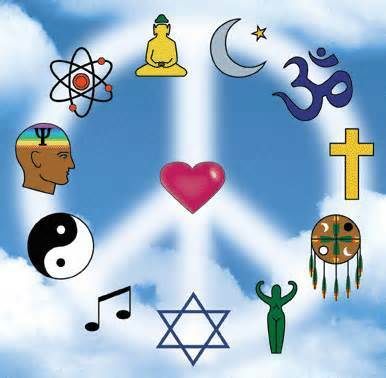 Over time I went through life seemingly unscathed and developed into a man with a greater affection towards spirituality and an indiscriminate feeling towards all religions. With all this said there were still many questions that remained confounding, and lingering feelings of doubt that were hard to deny. A big one for me was the role my place of birth and my parents in laying the framework for my early years. Due to being born in a white suburban family in a city east of Toronto, does that make me more likely to be Catholic? How about being born in Kermanshah Iran, would I be a Zoroastrianist? Or how about if I happened to be born in Holguin Cuba, would I practice Santeria? These thoughts didn’t initiate a mistrust in religion and all its glory, in fact it reinforced an appreciation for all religions. After reading Yann Martel’s life of Pi, I could really relate to Pi’s way of thinking, I was just slow to that realization. These all important questions were brought to my attention once I became older and more introspective of all things besides how I was going to satisfy my insatiable need for munchies, or finding out how much my head weighs. It made me realize that initially, the choice of religion is not made as a personal selection, but rather a decision based on circumstance. I don’t want to appear that I am trivializing religions or freedom of choice, I am simply trying to reproduce my feelings at that important time of my life. One personal aspect that has always stayed true was my spirituality and morality. Early in my life I have always been referred to as a kid that was “wise beyond his years”,or was it “wet behind the ears”, I don’t know for sure but I would like to think that I matured faster than my peers. There were many separate incidents along the way that highlighted my wisdom and maybe a little manipulation along the way. From denying the “kiddie table” seat at family gatherings in order to try to “talk shop” with the adults, to preferring to initiate conversations with girlfriend’s parents to reaffirm honest intentions. Around the period of high school my spiritual growth stagnated and to the period of my early twenties I have been trying to make up for lost time. 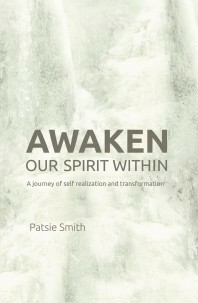 This book guides you on how to awaken your inner spirit. And yes everyone has one, so everyone can benefit. From avoiding the downfall of the five illusions of our physical state, to the need for detaching our minds from past thoughts that could entangle us and deteriorate our spirit. This book is a gateway in allowing you to trust your spirit and go with the flow of the world that is within you and is your’s alone. One of my problems in achieving full awakening is the fact that I am in nature an an analytic mind that is rarely idle. One key that I found to remedy this theoretical problem is the realization that the human spirit is infinite and cannot be transcended by the brain. For a more practical achievement, meditation would prove to be beneficial for harnessing my brain activity and better direct my state of mind from chaotic to orderly. One big problem I had with this book was that it was textually-heavy on metaphysics and less storytelling by the author. It seems that the author has lead a very interesting life where many readers can relate, I would have appreciated more elaboration on the causes and effects in her life’s story rather than demonstrations on how she overcame them. One important thing that I will take away from this experience is that although religion may seem problematic, one thing that will always be with you is your true spirit; which you make of it is up to you. This book will allow you to make the most of it.